Best CISCO (CCNA, CCNP, CCIE in R&S, Security, Voice/collaboration & Service Provider ) , Microsoft (MCSE, MCSA) SCCM2012, VMware, and LINUX (RHCSA , RHCE) Training Institute in Bangalore, India. We Provide Class Room, Online, One on One and boot camp training for all the Cisco courses, Microsoft Courses depending upon the individual's requirement. 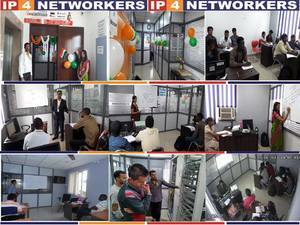 IP 4 Networkers is Providing special training on ASA Specialist, IT Security training workshops, Advanced BGP, MPLS, VPN Technologies, Summer and Industrial Training for B.Tech, live projects, IT Security projects, Cisco Security Training. We even provide corporate Training for MICROSOFT, LINUX, and CISCO Courses. ISO 27001:2013 / 9001:2008 Certified labs and Training Rooms. Certified Trainers with years of experience. 24*7 labs open for students preparing for Night. Boot Camp Training also available for all the courses and is provided by trainers who are even having experience in Industry. We care, to build your Career & Confidence.